Figure 12.1 (A) Loop-shaped contusions caused by coat hanger. (B) Imprint of belt. Figure 12.2 Long incisions made down back in search of soft tissue hemorrhage. 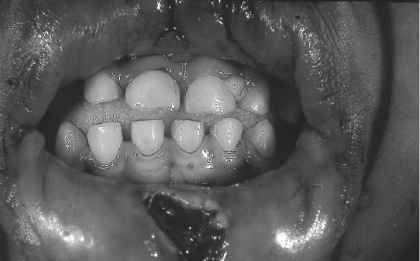 Figure 12.3 Laceration of mucosa of lip caused by blow to mouth. discrepancy between the history given by the parents and the clinical findings. The explanation as to how the recent trauma occurred is vague, inconsistent, or contradictory with the injuries. Multiple bruises are ascribed to the fact that the child "bruises easily" or is "always falling down." Head injuries are said to have occurred when the child fell from the arms of the parent, fell out of a high chair, or rolled off a table or bed. In the case of burns, children are alleged to have put their hands in boiling water, pulled a pot of hot water on themselves, climbed into a tub and turned on the hot water (or it may be alleged that a sibling turned on the hot water). If a child is starved and dehydrated, he is described as a "fussy eater" who seems to "spit everything up." There is often severe diaper rash, which is said to be because the child has "very tender skin" and seems to be "allergic to everything." Prior to 1962, the battered baby syndrome was unrecognized. 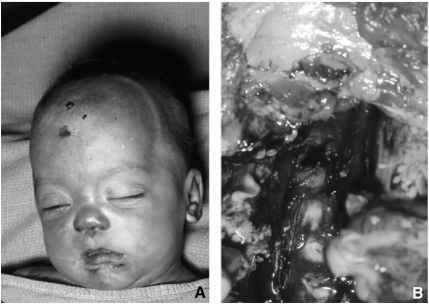 In 1946, John Caffey, a Pittsburgh radiologist, wrote an article entitled "Multiple Fractures in the Long Bones of Infants Suffering from Chronic Subdural Hematoma. "3 Dr Caffey described in detail the history of six infants aged 2 weeks to 12 months with chronic subdural hematomas and a total among them of 23 fractures of the long bones. In retrospect, these are classic textbook examples of repeated assaults on infants. Caffey, however, failed to recognize the true nature of the cases; he did not comprehend the etiology of this trauma, even after he had systematically eliminated all possible disease processes. In 1953, Silverman determined that, in children presenting this way, a history of trauma could be obtained, even if the initial history was negative, provided the family was carefully interviewed.4 The history he obtained from the parents is the usual one given by individuals who batter children: the baby fell from the arms; the parent fell down the stairs with the baby; the baby's arms and legs got caught in the crib slabs; the parent grabbed the child to save it from a collapsing bassinet; the parent was throwing the child in the air, playing a game, and missed; and so forth. Silverman did not realize the inadequacy and incompatibility of the history to the injury and felt that there was possibly an individual factor that predisposed some children to injury more than others. It was left to Kempe et al. in 1962 in their article "The Battered Child Syndrome" to give widespread recognition to this syndrome.5 The authors detailed the etiology of the trauma in infants and charged physicians with the duty to see that repetition of such injuries did not occur. Since then, there has been a tremendous amount of literature on child abuse, such that it has become almost a trendy social issue in certain circles. Thus, one sees bumper stickers stating "It Shouldn't Hurt To Be A Child." The popularity of this entity in certain sociological circles has led to an under diagnosis of other forms of child abuse and murder. This is because everyone is looking for the classic battered baby syndrome, which is often not the presentation of a murdered child. At autopsy, the battered baby will present with multiple bruises of various ages over the body, especially about the head and chest. Most children, when they incur bruises accidentally, as in falls while playing, receive them on the lower legs or the forearms. Battered children tend to have injuries to the head. There may be patterned bruises of the extremities caused by the child's being gripped firmly with the fingers or patterned bruises of the trunk caused by the child's being hit with a belt or coat hanger (Figure 12.1). In some instances, however, the bruises are not visible in spite of beatings. Thus, in cases of deaths following suspected child abuse, long incisions should be made down the back, buttocks, and extremities to reveal underlying soft tissue hemorrhage. (Figure 12.2) One must be careful not to confuse the Mongolian spot, an area of hyperpigmented skin in the lumbosacral region in some young children, with a bruise. Rarely, death will be due solely to exsanguination from massive bleeding into the soft tissue, caused by a beating. Blows to the face may cause tears of the frenulum and dislodge teeth. There may be cuts on the inner surface of the lips in older children from the lips being driven against the teeth. There might be cigarette burns on the body. On occasion, the child might have been disciplined by having its hand plunged into hot water or held against a hot surface. Hot fluids might have been thrown onto the child. There may be trickle-like burns where the water has run down the body. X-rays might reveal fractures. Most battered children die as a result of head trauma. There are subdural and subarachnoid hemorrhages with or without fractures of the skull. It is not at all uncommon to find brain injury without skull fractures. Occasionally, a fracture might lead to secondary meningitis. There may be evidence of old subdural hematomas, as well as recent ones. Fractures of the skull and injury to the brain may be present with no or only insignificant injury to the skin and soft tissue of the head. The absence of external trauma to the head does not rule out trauma (Figures 12.4, 12.5). In fact, neither does the absence of internal scalp hemorrhage. 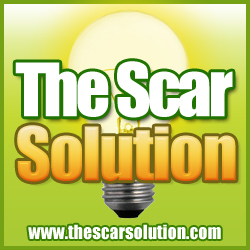 A head might impact a flat, yielding surface with enough force to incur brain injuries but without incurring contusions of the scalp, either externally or internally. Figure 12.4 A 2-year-old child admitted to hospital in an unconscious state. (A) No external evidence of trauma, even after shaving scalp. 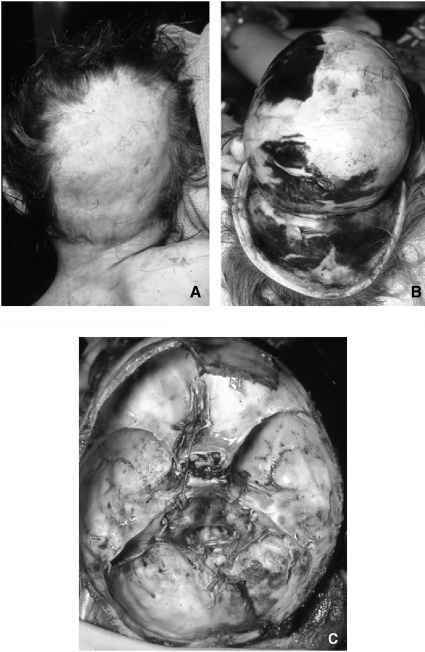 (B) Retraction of scalp reveals massive scalp hemorrhage (C) with subdural bleed and 15.5-cm fracture of posterior fossa. 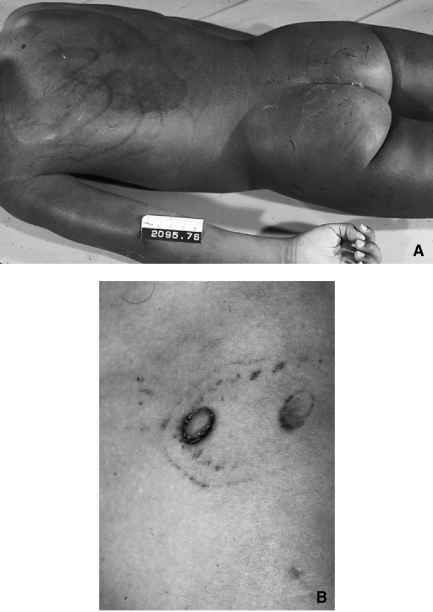 Figure 12.5 A 32-month-old child brought to Medical Examiner's Office with diagnosis of SIDS. Externally, (A) three healing scabs of forehead and excoriation of chin. At autopsy, (B) fracture of neck at C6-7. Parent admitted slamming child's head against bed, face down. abdominal wall, yet, within the abdominal cavity, there may be lacerations of the liver, rupture of the spleen, tears in the mesentery, rupture of the bowel and a massive hemoperitoneum. A severe blow to the abdomen might cause transection of the liver at the point where it overlies the vertebral column. In the authors' experience, the most common organs lacerated, in order of frequency, are the liver, mesentery and bowel. In cases of isolated bowel injury, death may be due to peritonitis. Some attorneys have used as a defense that the abdominal injuries were caused by cardiopulmonary resuscitation. Price et al. reviewed 324 child fatalities caused by natural disease who were resuscitated.9 None had abdominal injuries. Distribution by age was: below the age of one year, 75.93%; between the ages of 1 and 4 years, 19.75% and between 5 and 10 years 4.32%. CPR was by medical personnel in 70.06% of cases; a relative in 18.21%; a friend in 5.25% and others in 6.48%. Bush et al. reviewed 211 child fatalities in children less than 12 years of age who died of nontraumatic causes, who had cardiopulmonary resuscita-tion.10 Fifteen children had at least one injury; seven of which were considered medically significant. There were no injuries to the abdominal organs. Only three children had potentially life-threatening injuries: a pneumothorax; an epicardial hematoma, and pulmonary interstitial hemorrhage associated with hemoperitoneum. The neglected or starved child is a variant of the battered baby syndrome. Here, the child is fed insufficiently or sporadically and left to lie in its own feces and urine. 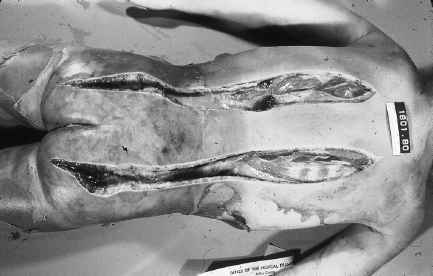 The child presents with sunken, wizened features, a sunken abdomen, prominent ribs, wrinkled, loose skin with loss of turgor, and an overall emaciated appearance (Figure 20.1). There is usually severe, ulcerating diaper rash. There are three possible explanations for a child presenting this way: criminal neglect, parental ignorance of the care and feeding of an infant, or a congenital disease e.g., malformation of the gastrointestinal tract, a malabsorption syndrome. Malnutrition can be the result of the mother's ignorance of proper feeding and care of the child if she is young, poor, uneducated, or retarded. The child, in this instance, is often only marginally nourished. If it develops severe diarrhea, in a matter of several hours its underlying malnutrition can be so exacerbated as to cause the child to present in a serious condition. Most starved and neglected children are hospitalized at least once before they die. If their condition is not due to congenital disease, they rapidly gain weight in the hospital and are discharged in a healthy, well-nourished state. If such children are subsequently found dead in a starved condition, one then can conclude that this was a purposeful action and the case is a homicide. In cases where there are no prior admissions, one must first exclude any possible natural disease causing malnourishment.